Rangers call for the SFA to review their disciplinary system "as a matter of extreme urgency". Rangers goalkeeper Allan McGregor will miss the next two games after failing in his appeal against a violent conduct charge. McGregor, 37, was adjudged to have slid into Aberdeen's Lewis Ferguson with his studs up during last Wednesday's Scottish Premiership win at Pittodrie. The clash went unpunished at the time but McGregor was later issued with a notice of complaint by the Scottish FA's compliance officer. The Scotland No 1 challenged the decision, but it was upheld at Hampden Park by the SFA on Wednesday and he has been suspended for two matches. 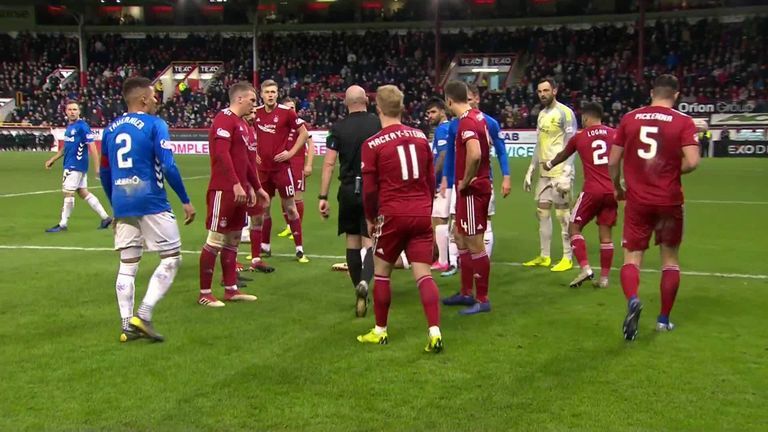 Rangers reacted to the verdict by calling for the SFA to review their disciplinary system "as a matter of extreme urgency". In a statement, a club spokesperson said: "Rangers has no option other than to accept this decision. McGregor will miss Saturday's visit of St Johnstone and the Scottish Cup fourth-round replay against Kilmarnock. The goalkeeper played in the first match against Kilmarnock on Saturday, which ended in a goalless draw.